Versailles in Wellington offers residents elegant French Country château inspired designs, unprecedented clubhouse luxuries all set within a charming European styled setting. These homes were designed and built Transeastern Homes with an over abundance of amenities. The residences of Versailles embody the splendor of its namesake French palace treasure, marking unparalleled luxury, style and taste. Palm Beach County offers a multitude of cultural attractions such as classical concerts, live theater, opera and ballet. Venues include the Royal Poinciana Playhouse, Delray Beach Playhouse, Watson B. Duncan Theater, Dolly Hand Cultural Arts Center, Florida Ballet and the Palm Beach Opera. The Raymond F. Kravis Center for the Performing Arts in West Palm Beach provides some of the finest professional cultural productions anywhere in South Florida, while the Cruzan Amphitheatre draws big-name pop, rock and country performers. History buffs will enjoy touring the many museums and gardens located throughout Palm Beach County, including the: Loxahatchee River Historical Museum and Jupiter Lighthouse, S.D. Spady Museum, Henry Morrison Flagler Museum, Norton Museum of Art, Boca Raton Museum of Art, Morikami Museum and Japanese Gardens, Bink Glisson Historical Museum, American Orchid Society Visitors Center and Botanical Garden, Mounts Botanical Garden, and the Burt Reynolds Museum. The South Florida Fairgrounds is home of the South Florida Fair and Exposition, an annual 17-day event held in late January. Lion Country Safari, located on Southern Boulevard near Wellington, is one of the oldest and most popular tourist attractions in the county, offering close-up views of wild animals from other continents. Residents of Versailles enjoy a great location with a myriad of things to do. Wellington offers great shopping, dining, and entertainment as does the rest of the Palm Beach County area. Situated less than two miles west of the Florida Turnpike, Versailles offers easy access to the rest of Florida. Residents take day trips to one of the many beaches and golfers enjoy the number of great courses in the area. Built by Transeastern Homes between 2003 and 2006, Versailles offers 450 luxurious estate homes. Residents pay a monthly homeowner's association fee which covers general maintenance of the community and amenities as well as exterior home and lawn care. 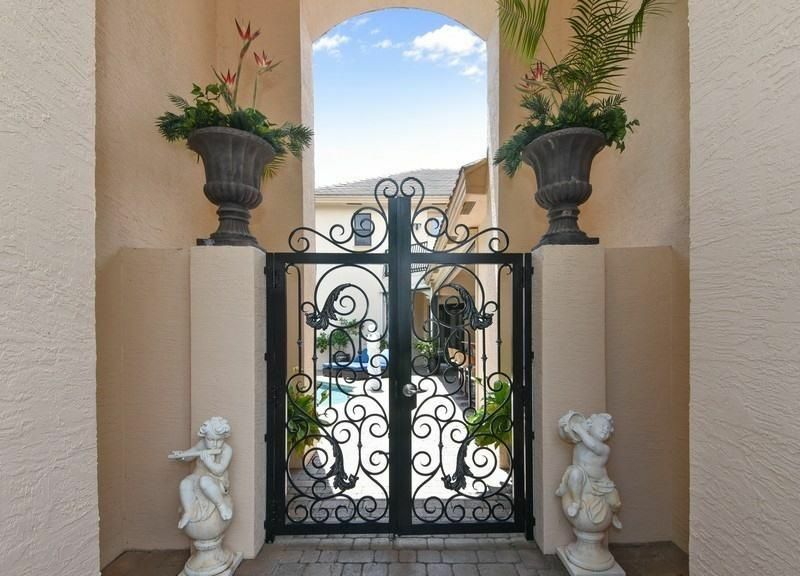 Versailles is built around six scenic ponds ensuring almost all homes back up to beautiful water views. The first of three collections offered in the community is the Artiste Collection. Homes in this collection range between 2,238 to 3,933 square feet of living space. With at least three bedrooms, three bathrooms, and attached two-car garages these homes offer luxurious features designed for active adults. Many homes have dens or rooms for a home office. Homeowners looking for a little privacy will love the over-sized master bedrooms with private bathrooms. The Provence Collection ranges between 2,537 to 4,296 square feet. All homes in this collection offer at least four bedrooms, three bathrooms, and three-car garages. Many of these homes have private pools under covered lanais. The third collection offered is the Chapelle Royale Collection. Ranging between 3,367 to 6,551 square feet, homes in this collection offer at least four bedrooms, three-and-a-half bathrooms, and attached three-car garages. These estate homes offer luxurious low-maintenance living with ample room for family and friends.